• TARGETjobs events – a great start to the year! • GradAustralia's Breakthrough Series – The Ultimate Guide to Getting Hired now out! trendence UK & Ireland (Group GTI’s research business) has just completed a research project commissioned by the OfS and conducted in a partnership with a consortium of students’ unions. 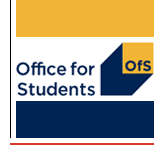 The report was released earlier this month by the OfS, and you can read the findings now via the OfS news page. We asked thousands of students from over one hundred universities whether they thought their tuition fees were good value for money, and we discovered that a third of students do not think they’re getting good value out of their fees. The headline findings were reported by the BBC, The Guardian, and the Independent earlier this month. We’ve got everything students ever wanted to know about CV writing covered with our new advice content and templates, plus advanced tips on how to make their CVs tell a story that will impress recruiters and make them stand out. Our big guide to CV writing provides a free CV template and takes students through it step by step, explaining how to adapt and personalise the template to showcase their strengths. How long should a CV be, and what font and file format should you use? Our our graduate CV FAQs advice has these questions covered and many more, to help students fine-tune the look and content of their CVs. Our advanced masterclass in CV writing explains how students can emphasise their best, most relevant skills in a manner that will hook the recruiter’s interest. See our six step guide to perfecting a graduate CV. During National Careers Week we delivered a range of publications to schools across the UK to help support their careers provision. 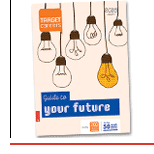 The publications, targeted at supporting students, teachers and parents give guidance on the range of options open to school leavers from higher apprenticeships to choosing the right degree for them. To see what your future students are reading, take a look at digital copies here. 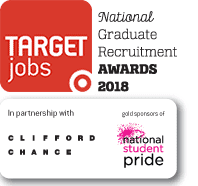 Last month saw the annual TARGETjobs National Graduate Recruitment Awards. 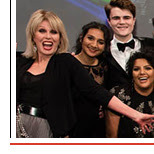 The awards night was held on Wednesday 28 March at Grosvenor House Hotel in London, and was celebrated by all those who attended well into the evening (and early hours of the morning for some). The University of York took home the best university employability strategy award. To have a goggle at some pictures from the night and to find out who took home which awards, visit targetjobsawards.co.uk. We also held the first in this year’s series of GTI Breakfast News events, focussing on social mobility. We were joined on the day by special guest speaker the Rt Hon. David Lammy MP, who spoke about disadvantaged students and their likely educational and employment outcomes. To look through the slides from the March Breakfast News, please visit groupgti.com/employer/gti-breakfast-news. TARGETjobs events – a great start to the year! 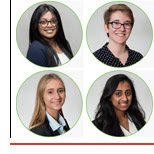 Here at TARGETjobs events we’ve had a great start to the new year with some fantastic events, we’ve had great success with our IT’s not just for the boys event and Future female engineers and students are already securing places in leading companies. 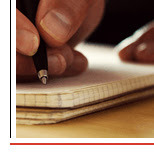 To see if any students are yours check out our success story pages. We’ve still got some fantastic events, competitions and awards coming up such as ICAEW 100, The TARGETjobs Undergraduate of the Year Awards and more, so watch this space to see if your students are winners! GradAustralia's Breakthrough Series – The Ultimate Guide to Getting Hired now out! Want to help students get the grad job of their dreams? 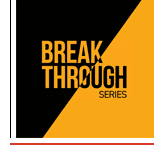 GradAustralia is excited to announce the launch of The Breakthrough Series – the ultimate guide to getting hired in industries like consulting, banking, accounting, engineering and IT. Find out what it’s really like to work in these fields thanks to real-life graduate stories and insider tips. Plus, they’re free to download (for a limited time only). Get them now!